NASA astronauts Barry Wilmore and Terry Virts worked Monday conducting intricate maintenance on a device that removes carbon dioxide from the International Space Station’s atmosphere. 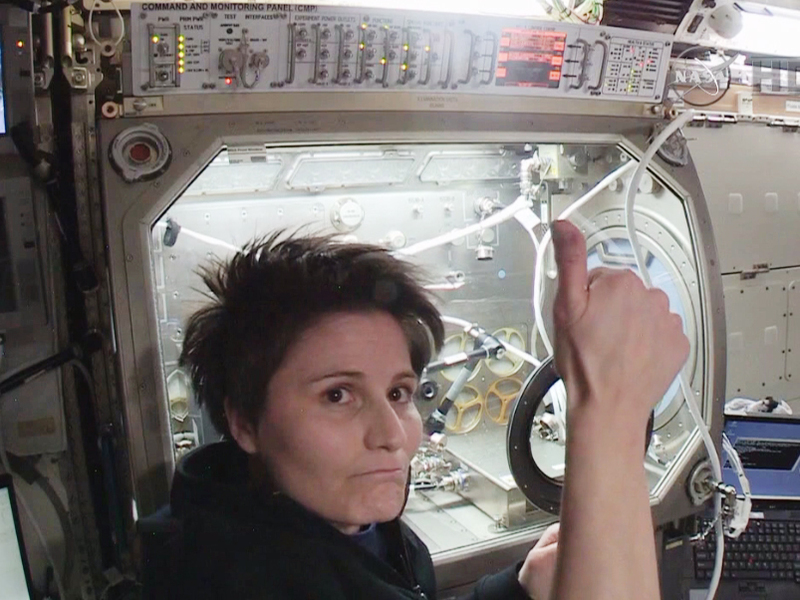 The duo later joined cosmonaut Anton Shkaplerov and Italian astronaut Samantha Cristoforetti for a review of emergency procedures and evacuation paths. Cosmonaut Alexander Samokutyaev spent the morning unloading cargo from the ISS Progress 57 resupply ship. During the afternoon, he worked maintenance in the Russian segment of the orbital laboratory. Russia’s first female flight engineer on the space station, Elena Serova, updated antivirus software on laptop computers and cleaned fans and filters. She also worked on a variety of science experiments including studying blood circulation in microgravity and advanced space photography techniques.